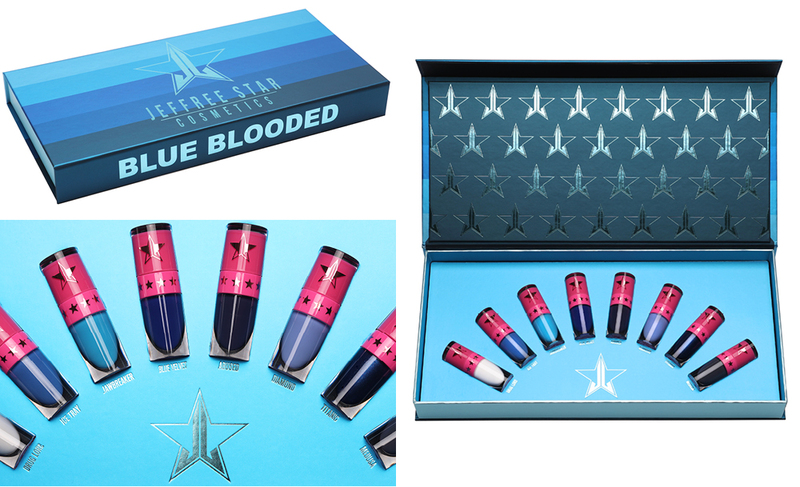 New Release: Blue Blood Collection (Jeffree Star Cosmetics) – Oh My Stellar! Obviously the most exciting part of this release is the Blue Blood Palette and – honestly, I did not expect him to drop this but I love the colour scheme and choices that he made! This palette contains 18 shades of blues, mints and also more neutral peachy shades making for a very striking and unique palette. I especially love that there are some neutrals included in Blue Blood (but not too many as this is blue themed). Blue is a trend from way back in the 90s that we love to make fun of but these neutrals are key to modernising the trend. This palette contains both eyeshadow and pressed pigment formulas, since all products from Jeffree Star Cosmetics for both vegan and cruelty free. It also comes in a dramatic metal clasp palette (similar to the Blood Sugar Palette) with a case design that is inspired by vintage jewellery boxes and coffins – the latter which is a rather morbid thing I’d prefer not to bring into my cosmetics, but I love it all the same! Some of these pans (pictured above) also have special, custom designs! I especially love Blue Monday – that electric blue is a dream. 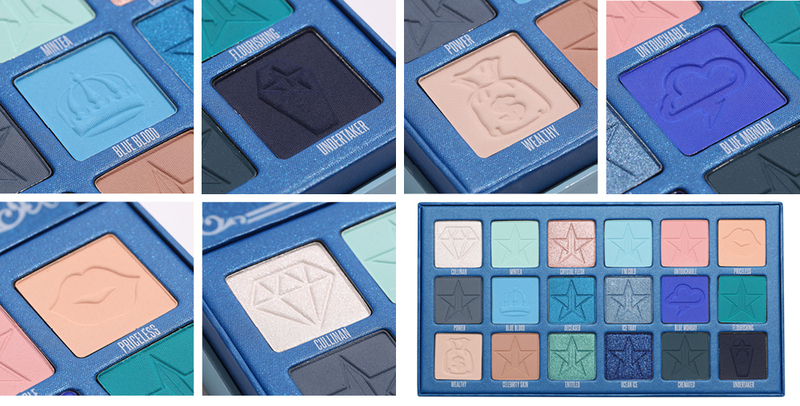 This is the first special collection that Jeffree Star released since his launch of the Liquid Frosts so I was surprised (and yet, somewhat not surprised) when these were included too. For the Blue Blood Collection, there are five new shades of the Liquid Frost – two of which are more wearable gold and pinks, while the others are varying shades of icy blues. These also come in a special blue bottle with a cute snowflake design. They’re definitely not for everyone but, if you’re into liquid highlighters and you love blues (I personally think they’re really fun on deeper skin tones), then check this one out. 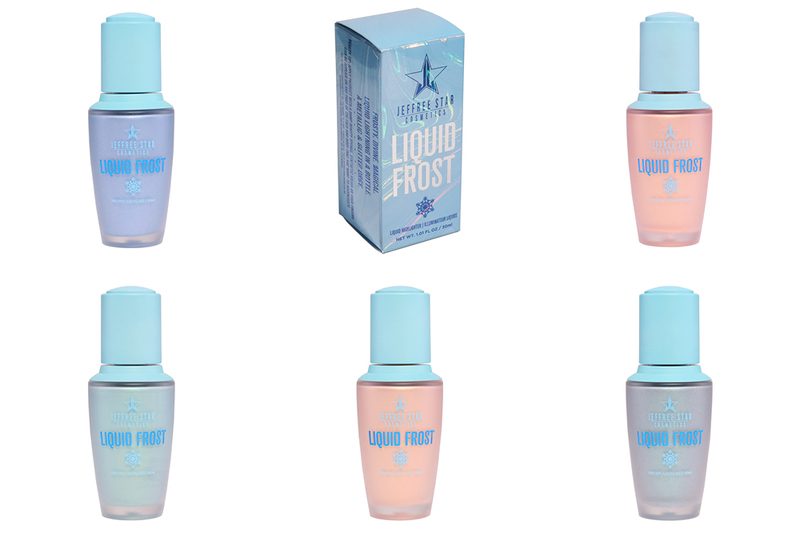 The Liquid Frosts are an extremely pigmented highlighter with varying levels of brightness (some are more subtle while others have the signature Jeffree Star boldness). They can also be used either wet or dry, which will further customise the intensity. Jeffree Star Cosmetics is really well known for their amazing liquid lipstick formula – highly pigmented, opaque, matte and long wearing (and also comfortable). They are also known for releasing a lot of unconventional shades, so it was obvious that a mini lip bundle would be included in this launch. The Mini Blue Blood Bundle contains eight mini lipsticks – which I frankly think are better than full sizes since they’re suitable for travel and, really, how many liquid lipsticks have we actually finished? 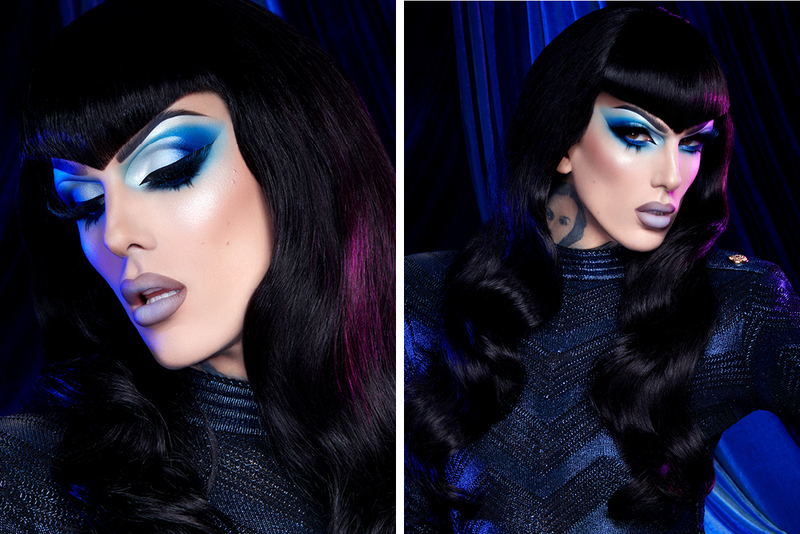 The shades are all varying shades of blue as well as his white liquid lipstick. 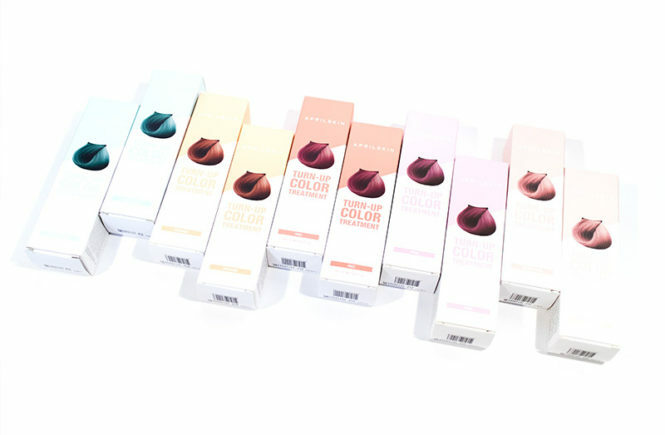 Six of them are already existing shades in the brand, while there are two new shades that are also exclusive to this set. Also note that all of this liquid lipsticks are vegan, cruelty free and also eye safe so if you’re looking for a bold blue liquid eyeliner – these lipsticks also double as that. In particular, his white shade (Drug Lord) is very popular for more creative eye looks. The Velour Lip Scrubs are up next and, to be honest, I’m not much of a lip scrub sort of personal. Generally, I find them a bit messy to use before make up and I prefer to use lip sleeping masks – though I can see why a scrub like this is so popular! 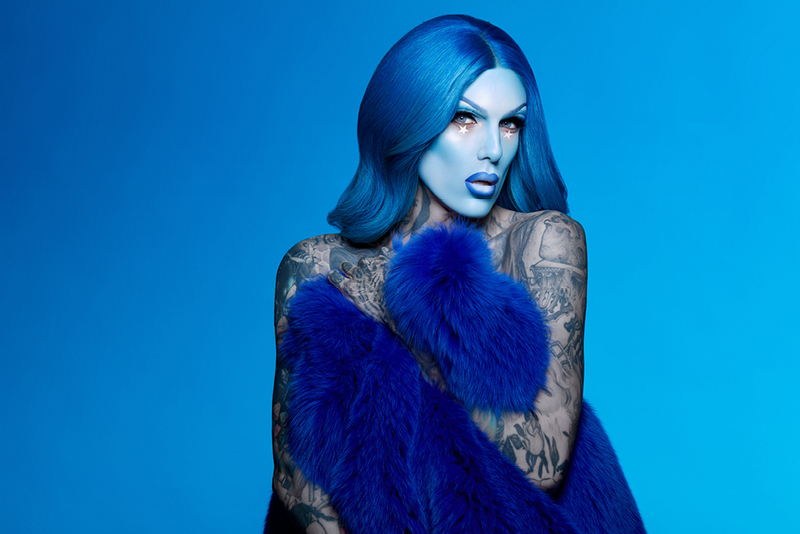 These from the Jeffree Star brand are really popular and he decided to release three new ‘blue-themed’ flavours for them. All of his scrubs are sugar based and edible (but if you have a sweet tooth, please just go for candy). 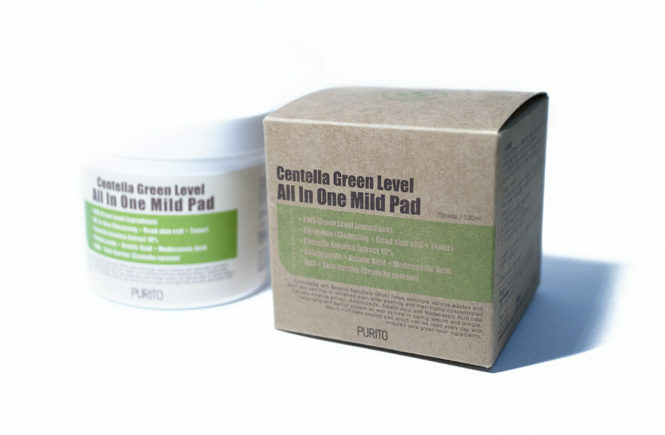 They are also vegan and cruelty-free, as well as paraben and gluten-free. For this Blue Blood collection, the three ‘flavours’ he came out with is Vanilla Mint, Blueberry Pie and Blue Freeze (which I am personally the most interested in). They also have special blue coloured packaging to match the rest of the collection. 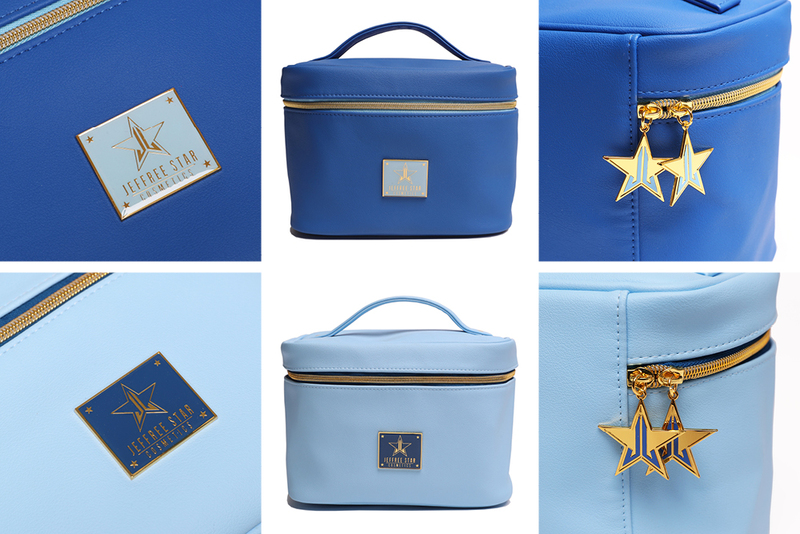 Jeffree Star Cosmetics also create a number of make up bags which are also really popular! The Light Blue colour is still available on Black Swallow but – to be honest – won’t be for long because the Dark Blue variant went out of stock while I was writing these! This is a travel make up bag so it is fairly large and carries everything needed. It is made from vegan leather – which looks fantastic, by the way – and has a Jeffree Star Cosmetics emblem zipper. For this collection, they released two blue shades but they also have a large range of make up bags in their permanent collection. For all our fellow beauty addicts, the light blue travel bag is the ultimate travel companion for holding everything you need! This can fit all of your favorite Jeffree Star Cosmetics products along with everything else you’ll need to create a full face! Features a zipper pocket and elastic pouch inside to store smaller products or other essentials! And lastly there is the Blue Chrome Hand Mirror! From my understanding, this product was not released to any retailers in Australia so your best chance of getting this would be off the official Jeffree Star Cosmetics website (though it is currently sold out). The brand has released a lot of these gorgeous star shaped hand mirrors in the past though, so you still have plenty of other shades to choose from. This hand mirror comes in an electric blue chrome finish. It also claims to be well balanced (for comfort) and highly durable – but, let’s be real, we care that it’s a cute mirror! And those are the releases from the new Blue Blood Collection! Let me know what you’re most keen to pick up and, if you’re going to, then definitely get in quick! Some of these products (such as the palette) are on pre-order at Black Swallow as they sold out like hot cakes on launch day. 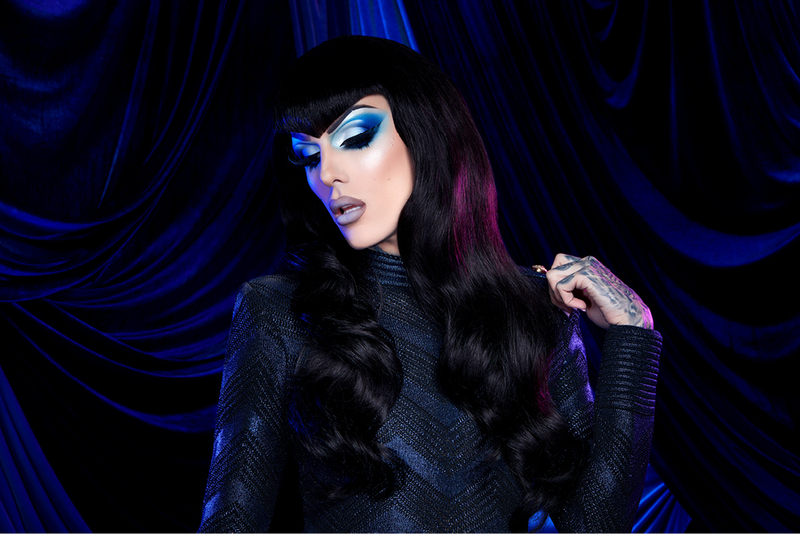 Others are available on the Jeffree Star website with no confirmed restock date – yet. Keep an eye on this post. And now, I’m going to leave you with a plethora of these stunning campaign photos. 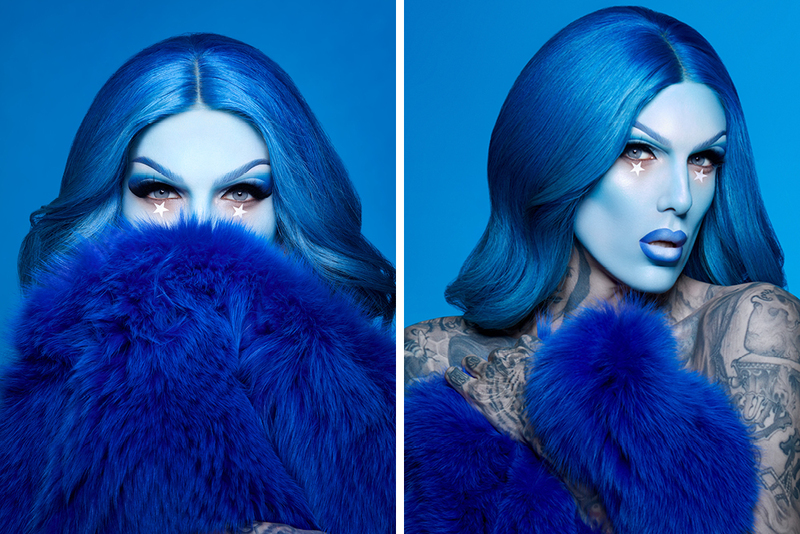 Jeffree Star honestly goes above and beyond when it comes to his advertising campaigns and these photos are stunning!